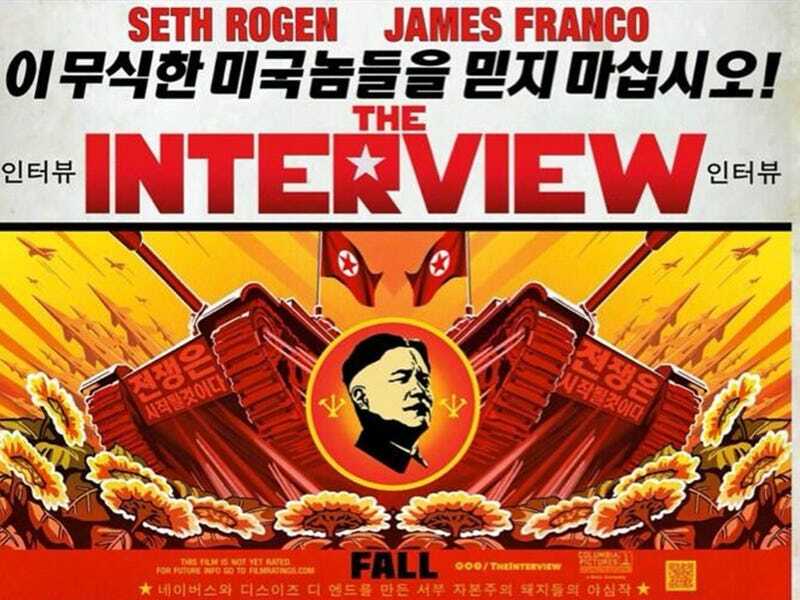 A lot of people point to The Interview as a criticism or satire of US media and promoter of US interventionism. Well, I have a pretty different take. The actual Interview part of the film works because it's based on humanizing a "deified" person. The middle part of the film convinces people that an assassination will NOT work. So, why is there an assassination? Because people won't buy tickets if they don't get to see the Big Bad Wolf explode. The assassination, then, is a result of the situation that the characters find themselves in. It's the easy way out. By all means, the film is saying that intervention from the US in such a scale will not work. Nothing goes according to plan. Yes, it may have been because the main characters were bumbling idiots but once the climax of the film is reached, the plan that was carried out was completely different from what was planned. The final conversation at the boat feels like a scene written-in to further distance the movie from the notion that it promotes American intervention. Hey, it turns out it was actually the North Koreans using the Americans to free themselves! Yes, it's too convenient but it's something that a lot of people missed about the movie. Take note though that it does not absolve the movie from such criticisms and opinions. So, what was the role of the US in all this? What is it if not the hammer of justice, ready to strike down on all who oppose good ol' America? Well, it turns out the US is best as a catalyst and not the instrument for emancipation. The fact that the main characters are a talk show host and his producer further hammers this point home. The revolution needs to come from the people. When the Interview was aired, it reached out not to political leaders but to the people. This, however, was an idea that was totally debased by the extremely safe ending. A rather curious effect of the movie was that it brought out what I'd call the "North Korean deniers" out of the woodwork. If you are against this movie because you believe that North Koreans are happy and treated well, and that Kim Jong-un does not deserve this treatment because he supposes himself a deity, then do avoid Wikipedia pages about North Korea too. If you are against this movie because a lot of the jokes fall flat and are stupid and juvenile most of the time, then carry on because you are totally right.